If you have traveled to tropical countries you have certainly heard about it. Snorkeling is an activity that deserves to be developed in France because it requires little equipment and offers the possibility, without special training, to observe the marine fauna. No one is obliged to know how to swim to practice this practice because one can use a lifejacket. Sometimes some providers even offer a guide to the progression by a guide (it may seem not very sporty but the pleasure is there) or to be towed by an underwater scooter. En famille ou entre amis une session snorkeling est toujours très agréable. With family or friends a snorkeling session is always very enjoyable. For the more aquatic, they can also descend a little under the surface in apnea. In snorkeling you are simply equipped with a mask allowing to see under water, a respiratory system of surface (or tuba) and a pair of palms. Thus, the overflight of reefs and shallow seabed is a treat. The observation of gorgonians, sea urchins, starfish and other Mediterranean species can be done easily on our coasts. In warm waters you will see corals and fish of all colors, anemones with their clown fish, you can also encounter dolphins, turtles, whale sharks during a magical moment. The world of Nemo then opens up to you! Beware of sunburn, you must protect yourself with at least a t-shirt or lycra in addition to a short-jersey and sunscreen. For cold we recommend shorty or a neoprene suit not too thick. This practice on the margins of scuba diving is not at all interesting and can very well entertain members of a non-diving group. This is why we have created a section dedicated to the walking tour where you can find all the offers of professionals in your region of interest. You will be able to program your holiday and weekend dive easily making sure that everyone will enjoy. 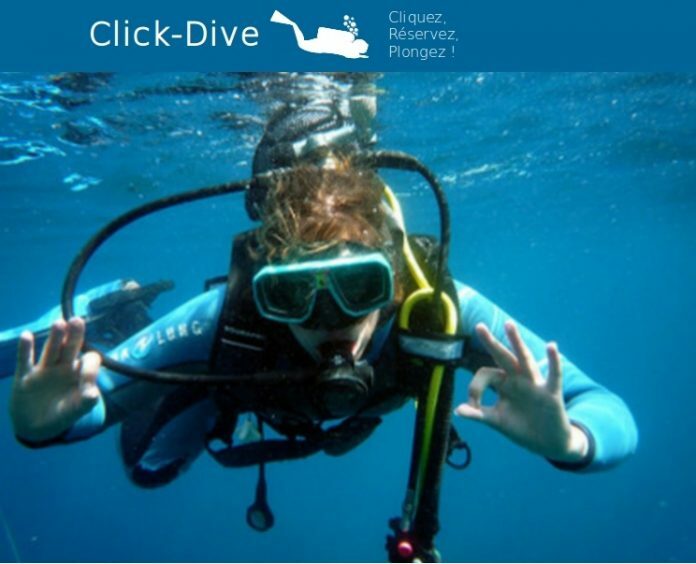 The Click-Dive team, a dedicated diving reservation site, wishes you a wonderful dip.